Although we’re heading further into Autumn, there are still a huge array festivals and events taking place throughout Melbourne and Greater Victoria. 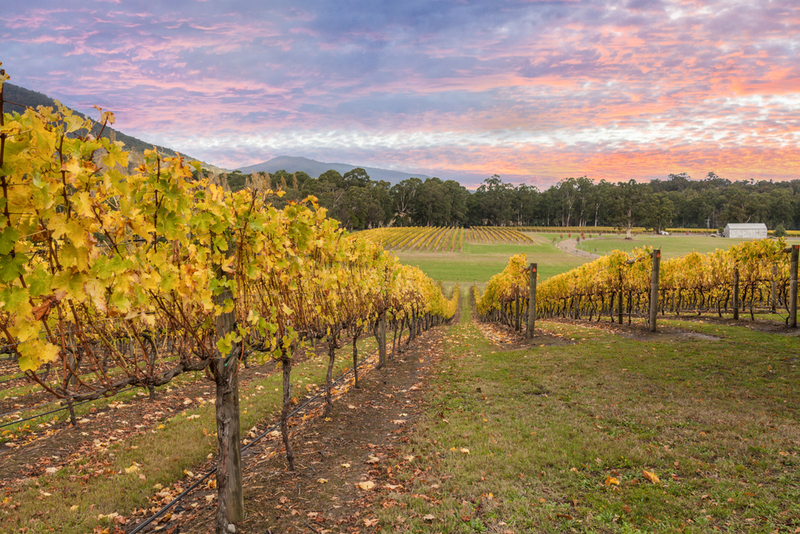 If you consider yourself a bit of a food and wine connoisseur, you’ll want to check out the inaugural Yarra Valley Wine and Food Festival, set to take place on the first weekend of April at the beautiful Rochford Wines. We’ve prepared a list of key highlights from the festival, so you can plan which delectable delights to sample first. Wine is the main event of this festival, which is perfectly apt given the location. There will be over 150 Yarra Valley wines on offer, with DeBortoli Wines, Hanrahan Vineyard, Balgownie Estate, Yering Farm Wines, Oakridge Wines, Punt Road Wines, Coombe Farm Wines, Squitchy Lane, Bulong Estate, and, of course, Rochford Wines, among the 40 plus wineries showcasing their produce. All visitors will receive a commemorative wine glass on entry, and wine tasting cards can be purchased for an extra $20. For true wine lovers, there’s the option to book a place in an intimate Premium Chardonnay or Pinot Noir Masterclass. The Yarra Valley Wine and Food Festival has made locating your favourite drop incredibly easy, just stroll down your preferred laneway – Sparkling Lane, Chardonnay Lane, Pinot Noir Lane, or, if you prefer a different brew, Local Beer & Cider Lane. There will be plenty of tasty food available throughout the festival, with two farmers’ markets selling produce from local Yarra Valley businesses including Yarra Valley Dairy, No Go Sauces, Cunliffe & Waters, and Jam Lady Jam, as well as a Food Carnivàle where you can fill up on tasty meals from some of Melbourne’s best food trucks. Back in Festival Central, there will be periodic cooking demonstrations from some of this year’s most loved My Kitchen Rules teams, as well as from renowned chefs like Buddha Lo (of Matteo’s). The festival will feature a People’s Choice Wine Barrel Art Competition, where local artists compete for the best wine barrel design. There will also be live performances from musical acts such as Chunky Jam, Bjorn Again, and the Lisa Edwards & Michael Cristiano Band. On Sunday the 2nd of April, the festival becomes more of a family affair, with children’s cooking demonstrations, a pantomime show, roving performers and entertainment, and face painting. Whether you choose to attend this fabulous festival on Saturday the 1st of April or Sunday the 2nd, Melbourne On The Move are offering coach transfers to and from the event, leaving you free to enjoy a leisurely day of food and wine. Melbourne On The Move have two transfer options available for both days of the Yarra Valley Wine and Food Festival, allowing you to enjoy the autumn rays over the Yarra Valley during the day (departing Melbourne at 10.30am and Rochford at 4.30pm), or to turn the event into an evening affair (departing Melbourne at 3pm and Rochford at 9pm).